This update covers developments on civic freedoms in Uzbekistan from September to December 2017. It has been prepared for the CIVICUS Monitor by International Partnership for Human Rights (IPHR) and Association for Human Rights in Central Asia (AHRCA). In this period, the Uzbekistani government remained concerned about improving its reputation in the eyes of the international community. However, the extent to which the recent reforms announced by President Mirziyoyev and his government will improve the overall human rights situation cannot yet be assessed. Thus far, many of the positive initiatives announced in recent months appear to be more in word than in actions. 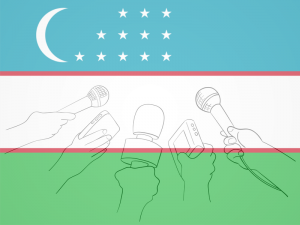 In 2017, some steps were taken towards increased press freedom in Uzbekistan, as previously reported on the Monitor. On 19th October, the OSCE’s 19th Central Asia Media Conference took place in Tashkent. Noted improvements included some national television coverage of state assemblies showing discussions on problems and issues that were previously taboo. In addition, President Shavkat Mirziyoyev has more often publicly criticised the work of high-ranking officials and state institutions and some, but not all, critics of the government seem able to speak out without fear of retribution. The state’s granting of permission for the independent festival VIDEOART.UZ to take place after a four-year lull was viewed as a further sign of opening space in Uzbekistan. On 19th November 2017, Tashkent hosted the 28th independent video art festival, entitled “Trofimov Readings”, which featured the works of Dmitry and Angela Trofimov, formerly citizens of Uzbekistan who now live in Russia. The festival was held under the slogan “New old black and white cinema”. Although all seven films presented at the festival are old, filmed by the Trofimovs in and around Tashkent from 1990 to 1993, for the majority of people in Tashkent and even for sophisticated art critics, they are new as most people have not seen them before. The festival was organised by the founder of the independent “Center for Defamation and Insult”, Oleg Karpov. In a positive development leading up to an the OSCE’s 19th Central Asia Media Conference, four journalists and human rights defenders were released from detention. Human rights defender Azam Farmonov was conditionally released from prison on 3rd October after spending 11 years in prison on extortion charges of which he was convicted in an unfair trial in 2006. The charges against him were widely believed to be politically-motivated in retaliation for his work defending the rights of farmers and persons with disabilities. In 2015, Farmonov’s original prison sentence was arbitrarily extended in a closed trial for another five years for alleged infringement of prison rules. The rules of conditional release mean that although Farmonov is in poor health, he has to pay 20 percent of his salary to the state. He is forced to work, since he has not yet been able to access the necessary medical treatment for health issues he developed when in prison. Solidzhon Abdurakhmanov, independent journalist and human rights activist with the Committee for the Protection of Citizens’ Rights, was released from prison on 4th October. He was sentenced in 2008 to ten years in prison on fabricated charges of drug possession after an unfair trial. On 9th October, Agzam Turgunov, head of the “Mazlum” human rights organisation was released after ten years in prison. He was sentenced in 2008 on allegedly fabricated charges of extortion in an unfair trial and suffered torture while in detention. On 16th October, human rights activist Ganikhon Mamatkhonov was also released from detention. He was sentenced to five years in prison in 2009 on politically-motivated charges and his sentence was later arbitrarily extended for alleged violations of prison rules. In addition, working groups from the Special Commission for the preparation of materials on pardoning convicted persons serving sentences in penal institutions, established by President Mirziyoyev in September 2017, reviewed prisoners’ case files and conducted interviews with convicted persons. As a result, Mirziyoyev signed a decree pardoning 2,700 convicts, and 956 people were released from prison colonies. Amnesties and pardons can be in the form of a full or partial exemption from punishment, or conditional early release. AHRCA and IPHR note that on 30th November 2017, President Mirziyoyev signed a decree prohibiting the courts’ use of evidence obtained through torture, and forbade legal decisions on the basis of any evidence that was not confirmed during the trial. The degree stipulated that the prosecutor in charge of the criminal case should check whether physical or psychological pressure had been used on defendants or their relatives. If implemented in practice, these measures should prevent some of the serious miscarriages of justice which have frequently occurred in the past in Uzbekistan, as critics of the authorities have been tortured to force confessions for crimes they did not commit. The decree will come into force in March 2018. The detention of independent freelance journalist Bobomurad Abdullayev by National Security Service (SNB) officials on 27th September 2017 in Tashkent indicates that independent journalists are still at risk of reprisal. Abdullayev previously headed the organisation OZOD OVOZ (Free Voice) and was a correspondent for the Institute for War and Peace Reporting and Fergana.ru, which is blocked in Uzbekistan. After his arrest, he was held incommunicado in detention for two days at an SNB pre-trial detention centre in Tashkent and on 1st October, was reportedly charged with anti-constitutional activities (article 159 of the Criminal Code) during a closed hearing at Yunusobad District Court in Tashkent. If found guilty, he could face up to 20 years in prison. The security services have accused him of working together with the exiled political opposition leader, Muhammad Salih, and of calling for the overthrow of the government under the pseudonym Usman KhaknazarOV. His colleagues are convinced that the charges are politically motivated. On 14th December 2017, he was allowed to see his defence lawyer for half an hour and for the first time since he was arrested. A SNB investigator was present during the meeting. There are serious concerns that he may be currently (or have been) subjected to torture and ill-treatment at the SNB pre-trial detention centre which is notorious for human rights violations against prisoners. Since Abdullayev’s arrest, other government critics have also been implicated in the criminal case, including 27-year-old Akrom Malikov, employee of the Institute of Manuscripts of the Academy of Sciences who was detained by the National Security Service in July in connection with critical articles published online. In addition, Shavkatjon Olloerov, who owns a restaurant frequented by high-ranking officials, and businessman Ravshanbek Salaev were both detained on the day after Abdullayev’s arrest. On 20th October, the well-known economist, blogger, journalist and civic activist Hayot Nasreddinov was also arrested. His relatives have not yet been informed of the grounds for the arrest, and there are fears that they have been put under pressure not to talk to journalists. He is currently being held in a SNB pre-trial detention centre in Tashkent. There are serious concerns that he may have been subjected to torture or ill-treatment in detention. In August 2017, President Mirziyoyev announced that thousands of people had been taken off a “blacklist” for entering and exiting the country and called on those blacklisted and living abroad to return to Uzbekistan. However, when writer Nurullo Otahonov (pen name Nurulloh Muhammad Raufhon) returned to Tashkent on 27th September 2017 from voluntary exile he was detained at the airport. He was released on 1st October but is under house arrest and faces charges of extremism for his book, Bu Kunlar (These Days), which criticises the Uzbekistani authorities’ actions since independence. The book was banned in Uzbekistan. Despite the releases in recent months reported above, many journalists, human rights defenders and activists remain behind bars in conditions severely detrimental to their health. Dilorom Abdukodirova – a witness to the Andijan tragedy in 2005. Although some sources report that employees of the academic journal Irmok, namely Botirbek Eshkusiyev, Bahrom Ibragimov, Davron Kabilov, Davron Todzhiev and Ravshanbek Vafoev were released in 2015 and 2016, information about their release has not been confirmed as human rights defenders and diplomats have not yet been able to meet with them. Similarly, human rights defender and lawyer Matluba Kamilova is reported to have been released in 2015 but independent journalists and human rights activists have not managed to meet her and so there are fears that she may still be in prison. At the Central Asia Media Conference in Tashkent, OSCE representative on Freedom of the Media Harlem Desire called “for the release of Dilmurod Saiid, Yusuf Ruzimurodov, Bobomurad Abdullaev and all other journalists still imprisoned”. “For about two years I was held with the journalist and human rights defender Dilmurad Saidov in prison colony 64/49. I saw him after he had been treated for tuberculosis. He was very sick, and suffers from acute stress and anxiety due to the deaths of his wife and daughter. [They died in a car accident while on the way to see him some years ago]. He needs urgent medical treatment. I ask everyone not to ignore his case but to do everything possible to secure his release from detention”. IPHR and AHRCA have called on the Uzbekistani authorities to immediately and unconditionally release these and all others who have been imprisoned on politically-motivated grounds in order to demonstrate their serious commitment to the protection of fundamental rights as set out in the constitution. Despite some of the positive developments cited above, challenges remain concerning freedom of expression and the media. Laws governing freedom of expression and the media continue to severely restrict independent journalism. State control of access to the internet and to proxy servers used to avoid censorship remains tight, with public access to independent news websites and social media periodically restricted. 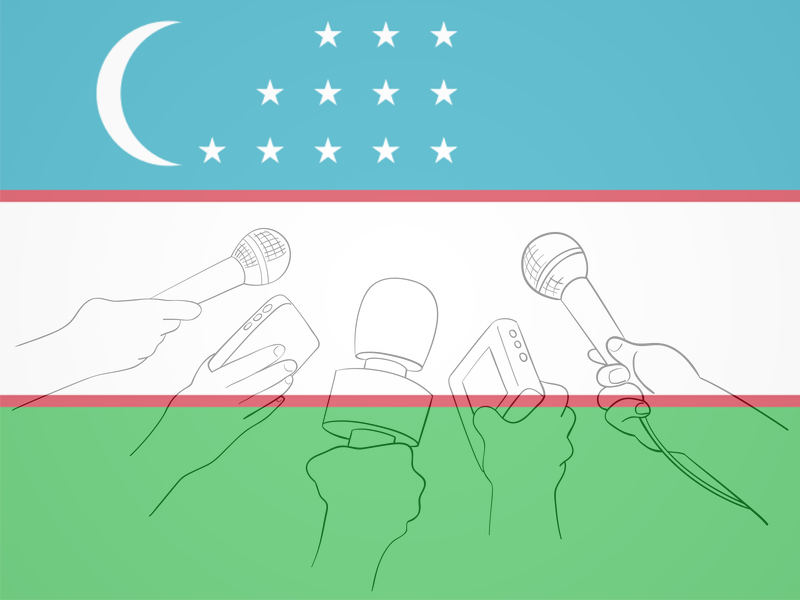 Media outlets in Uzbekistan operate under close state supervision and independent journalists risk reprisals for their professional activities. State intolerance of open public debate persists, particularly on human rights issues. Risks and threats to the safety of civil society activists continue, and members of the general public are generally afraid to speak out about political issues and share their opinions. Detentions of citizens without identity documents have increased in recent months. At a 2nd November press conference, the first deputy commander of the Patrol Guards brigade under the Main Department of Internal Affairs of Tashkent stated that “law enforcement officers have recently been carrying out preventive work, aimed at preventing crime. Such activities involve checks on people who are likely to carry out crimes, those who cause suspicion and those who are wandering about aimlessly”. On 7th November, artist Aleksandr Barkovski was detained for a few hours and questioned for an hour at the police department at Bukhara train station after taking photographs of a public toilet. Independent journalist Sid Yanishev was detained twice in November and December. On 12th December 2017, he was detained for 14 hours in the Tashkent village of Almazar and was taken to police station No. 61. He was questioned by police officers who confiscated his camera and dictaphone. He was subsequently transferred to the regional department of Shaikhantursky district of Tashkent, where his fingerprints were taken. In order to be released from detention, Yanishev had to agree to “voluntarily” delete all information from his camera and dictaphone. “Despite all the years I spent behind bars, when I suffered betrayal, separation from my family, hunger, torture, and when I lost the will to fight … solidarity proved to be stronger than all the obstacles and trials. As long as there is a human rights movement, there is a chance of saving those who share the idea of living in a just society”. Other former prisoners have not been given permission to leave the country, including former newspaper editor, Muhammad Bekjanov, who was released in February 2017 after spending 17 years in prison on politically-motivated charges and who remains under police supervision. Also, human rights defender and writer Mamadali Makhmudov was released from prison in 2014 after serving a 14-year prison sentence handed down on politically-motivated grounds has not yet been granted an exit visa, for which he has repeatedly applied since June 2016 and has therefore not been able to leave the country for medical treatment. Makhmudov has heart, stomach and kidney problems and needs a pacemaker fitted. Other individuals not in detention, but who criticise or who are perceived to criticise the Uzbekistani authorities have also been arbitrarily denied permission to leave Uzbekistan. For example, the artist Vyacheslav Akhunov has not obtained permission to travel abroad, despite repeated appeals since 2012. On 17th December, he confirmed that the Visa and Passport Office continues to refuse him permission to leave the country. Akhunov learned from a contact that the refusal is due to his continued criticism of the political authorities on social media. Uzbekistani law protects the right to participate in meetings and demonstrations, which can only be prohibited on security grounds. However, in 2016 amendments were adopted to the procedure for coordinating the activities of NGOs, creating additional obstacles to the freedoms of assembly and association. The bureaucratic and burdensome requirements governing public event organising perpetuate a system where the authorities grant permission for meetings, rather than receive notification of them. Organisers and participants of protests therefore still risk prosecution for criminal offences. As reported earlier this year, Zhasurbek Ibragimov, a student at the Borovskiy Medical College, died in Tashkent after being beaten up by unknown assailants. Civic activists Irina Zaidman and Maria Legler organised an online petition calling on the Uzbekistani authorities to find those responsible for Zhasurbek’s death and bring them to justice. The petition received unprecedented public support and was signed by over 20,000 persons. At a rally held in Duslik Park on 4th June, Deputy Chief of the Tashkent Central Internal Affairs Directorate Doniyor Tashkhodzhaev assured the participants that this tragic case would be thoroughly investigated. However, on 15th November 2017, Zaydman was summoned to the police station, where she was detained. Police officers searched her house on the same day. The next day she and Legler were found guilty of organising an unsanctioned meeting and sentenced to ten and 15 days of administrative detention respectively. Neither woman had a lawyer present at the closed hearing when they were sentenced, which is in violation of the Criminal Procedural Code of Uzbekistan. On 30th October, the judge of the Mirabad District Criminal Court of Tashkent, Matchanboy Matchanov, ruled that only Islombek Tulyaganov was guilty of causing Zhasurbek’s death and he was sentenced to six years’ imprisonment. The judge found the other defendants not guilty, causing a public outcry, and Zhasurbek’s mother filed an appeal. Tashkent Court of Appeals was due to rule on the case on 1st December but the hearing was postponed. This case illustrates clearly how in Uzbekistan relations and connections prevail over the rule of law. The lawyers and relatives of Ibragimov are being subjected to pressure and harassment by law enforcement officials. The parties to the case are currently appealing the verdict of the court of first instance and a final decision will be taken by the Supreme Court of Uzbekistan. A Facebook group entitled “Have questions! Why are there no answers?” is monitoring developments in this case. Next articleKyrgyzstan: Will the new president break with his predecessor’s troubling human rights legacy?